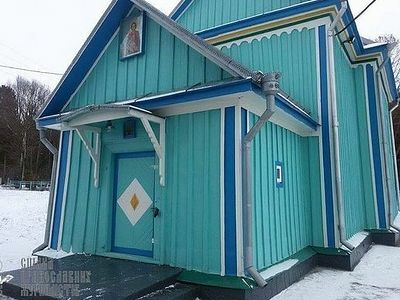 Orthodox Churches clearly expressed their attitude to Ukrainian schismatics. Did Philaret understand? A member of the Georgian Orthodox Church living in Los Angeles, California sent us this editorial on the schism in the Ukrainian Orthodox Church. 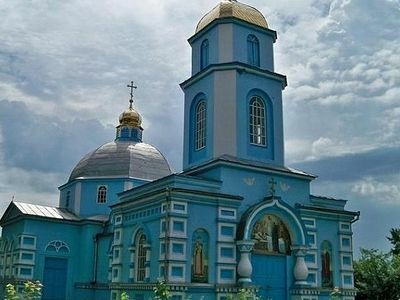 Shaken after reading about the recent U.N. resolution concerning infringement of religious rights in Ukraine, Tamar Lomidze expresses her concerns for the Ukrainian Orthodox people. Forgetting Christ’s commandments, embracing ethnophyletism, giving preference to Caesar, serving mammon—all of these are symptoms of a serious disease that has affected schismatics of the so-called “Ukrainian Orthodox Church of the Kyiv Patriarchate” (“UOC-KP”) as a result of their falling away from Orthodoxy. 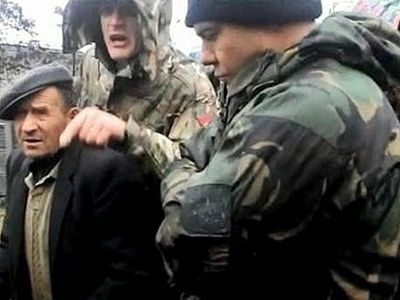 Lies, the desire to usurp all that ones can, assaults against the faithful of the UOC of the Moscow Patriarchate (UOC-MP)—not just the schismatic leader Filaret Denisenko’s undisguised readiness for violence—all of this is well known to everyone these days. Meanwhile, the self-proclaimed “patriarch” continues to talk about autocephaly. It’s hard to figure what he is still after, since autocephaly can be recognized only by the Orthodox Churches. At the same time, none of the Orthodox Churches would ever enter into canonical communion with the schismatics, because doing so would deprive such as a Church of the Holy Spirit. As a consequence it would cease to be the Church as the Body of Christ; i.e. it would became no more than a civic organization, as is the “UOC-KP”. Unfortunately, many Ukrainians are not even aware of the fact that the sacraments administered by pro-Philaret priests are not the sacraments at all. Thus, after these “rites”, hundreds of thousands of Ukrainian children are now unbaptized, departed ones are buried without last rites, and marriages are not blessed by God! This fundamental theological truth was unanimously and squarely maintained1 by the Primates of all Local Churches in Chambesy on 22-28 January, 2016. Several bishops even emphasized this point specifically for Philaret and for the Ukrainians, for whom the Church came to be regarded as merely an institution to express their political preferences rather than a space of the Eucharistic Communion. 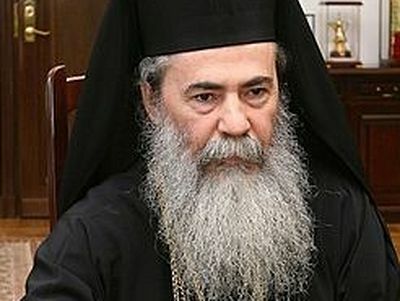 In turn, the Primate of the Bulgarian Orthodox Church, Patriarch Neophyte, expressed his deep concern about the violent seizures of Moscow Patriarchate’s churches and about the mistreatment of the believers of the only canonical Orthodox Church in Ukraine. He even appealed3 to President Petro Poroshenko and urged him to take all possible measures to protect the Ukrainian Orthodox Church from persecutions carried out by nationalists and the self-proclaimed Kyivan Patriarchate. Primates of the autocephalous Orthodox Churches of Alexandria,4 Antioch,5 Jerusalem6 and of Poland7 expressed their support for the head of the Ukrainian Orthodox Church Metropolitan Onuphry as well. Not surprisingly, neither the Ecumenical Patriarch nor the other primates of the autocephalous Churches are going to condone the schismatics. That is why the Chambesy Council’s outcome for the Kyivan Patriarchate would have been the same regardless of Patriarch Kirill’s speech. Let us remember, in the course of this meeting the primates of the autocephalous Churches unanimously acknowledged8 that the Ukrainian Orthodox Church of the Moscow Patriarchate is the only canonical Orthodox Church in Ukraine. 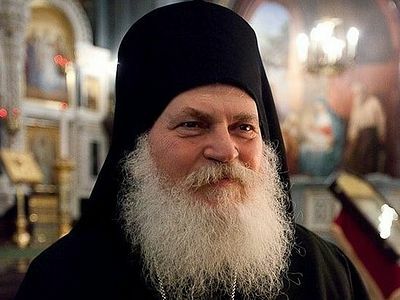 Moreover, Patriarch Bartholomew of Constantinople publicly confirmed that he would not consider the canonical recognition of Ukrainian schismatics. 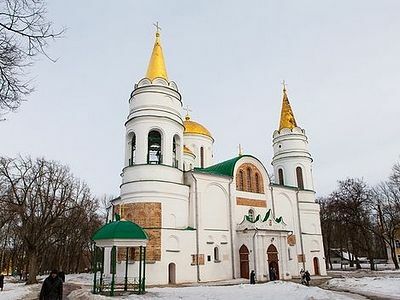 He also reassured that the bishops of the Ukrainian Orthodox Church in the Diaspora must notify the UOC-MP of their visits on its canonical territory, as well as refrain from joint worship with the dissenters. 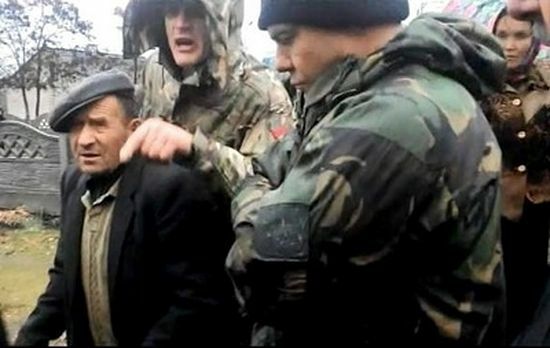 In this context, the statements of comrade Denisenko, who surely can’t be unaware of the real Church’s attitude toward him, seem to be an attempt to put a good face on a bad business. In an interview9 on February 10, 2016 to channel “24”, the self-proclaimed “Patriarch” of the schismatic “Ukrainian” Orthodox Church of the Kyivan Patriarchate, said, “We do not need (canonical) recognition, we do need our autocephaly to be recognized.” It is noteworthy how eloquently these words characterize schismatics and how (unfortunately for UOC-KP adherents) they move them further away from returning to the bosom of the Life-Giving Church. Rather than strive for the resumption of the Eucharistic communion with the rest of the Orthodox world Philaret only persists in his vanity. Something like, “It does not matter whether the Holy Spirit dwells in our churches or not, it is more important for us to be allowed to do whatever we want.” Thus, he puts his “self” before the salvation of the souls of believers. So, we can only pray and hope that the Ukrainan faithful will awake to their spiritual danger as soon as possible. The elder shared his concern about the events in the Ukraine. Just the old Donatist heresy?? Mike: The Bulgarians were more unanimous in their struggle for autocephaly, and note that it was eventually granted, and not self-proclaimed. 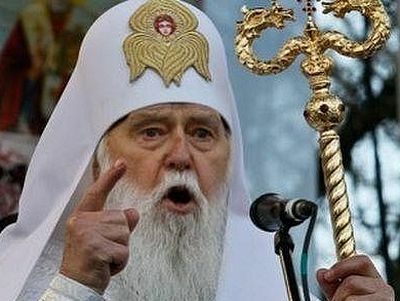 Philaret is proclaiming himself "patriarch" of a self-proclaimed "autocephalous" church. 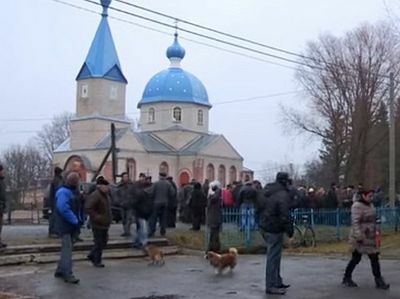 The greater majority of Ukrainians are with the canonical, autonomous Ukrianian Church, and these are the people who go to church to pray and not to push nationalistic, political agendas. The Lord said, "By their fruits ye shall know them." Pay more attention to what Philaret's "Kiev Patriarchate" has wrought in the Ukraine--strife and bloodshed--as opposed to the fruits of the spirit that Met. Onuphry manifests. Also, what does this have to do with the Council in June, other than the fact that none of the other patriarchates support Philaret? Philaret's behavior shows that he would only wholeheartedly support any ecumenist agenda anyone felt like promoting. He is certainly no Mark of Ephesus--far from it, since he works together with Uniates to oppose the canonical--not nationalistic--church. Too strong! In looking at Byzantium history, the right of the Bulgarians to have their own patriarchate created an on-going political battle between all parties, including Rome. Throwing them into hell without question makes me wonder if these articles are not preparing to do the same if anyone says, "Peep!" against the upcoming 'council' in June. If so, foisting your schemes on others also won't work with God's help.